>>Google loves Web 2 Backlinks coming from domains that belong to the high level of authority DA 40-99. 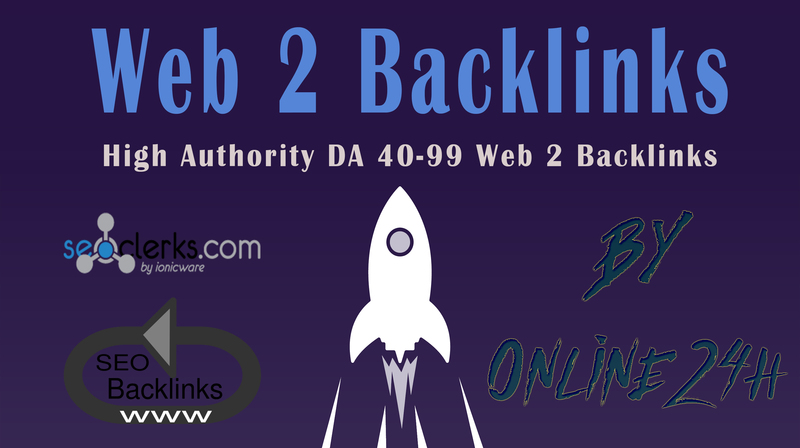 >>All Web 2 Backlinks from high Domain Authorities (DA). Imagine the amount of link juice and authority your site will benefit from. >>We all know how important Web 2 Backlinks for everyone's website. >> We will post a niche related unique article for you for free, and if you want you can also provide your own article. >>niche related image will be added. >>Let me know if you have any question. >>Full Links Reports will be Provided(without login). If you want fast and best service as well as cheap price, I am your best solution. 30+ High Authority DA 40-99 Web 2 Backlinks only is ranked 5 out of 5. Based on 247 user reviews.